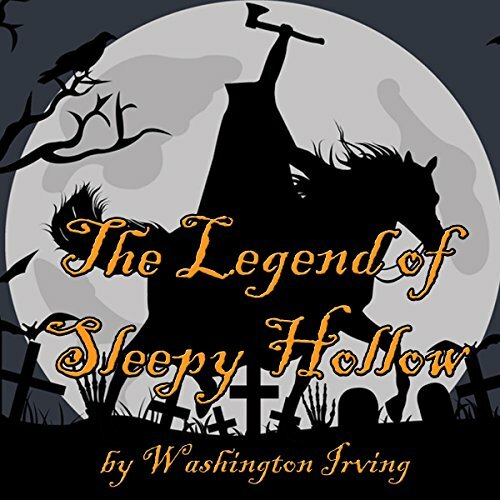 The Legend of Sleepy Hollow is a short story by Washington Irving contained in his collection The Sketch Book of Geoffrey Crayon, Gent., written while he was living in Birmingham, England, and first published in 1820. 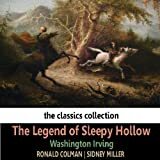 With Irving's companion piece "Rip Van Winkle", "The Legend of Sleepy Hollow" is among the earliest American fiction still read today.The story is set circa 1790 in the Dutch settlement of Tarry Town, New York, in a secluded glen called Sleepy Hollow. 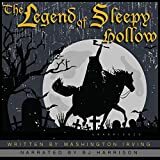 It tells the story of Ichabod Crane, a lanky schoolmaster from Connecticut, who competes with Abraham "Brom Bones" Van Brunt, the town rowdy, for the hand of 18-year-old Katrina Van Tassel, only daughter of a wealthy farmer. As Crane leaves a party at the Van Tassel home on an autumn night, he is pursued by the Headless Horseman, supposedly the ghost of a Hessian trooper who lost his head to a cannonball during "some nameless battle" of the American Revolutionary War, and who "rides forth to the scene of battle in nightly quest of his head." Crane disappears from town, leaving Katrina to marry Brom Bones, who was "to look exceedingly knowing whenever the story of Ichabod was related. (Quote from wikipedia.org)About the AuthorWashington Irving (1783 - 1859)Washington Irving (April 3, 1783 - November 28, 1859) was an American author of the early 19th century. Best known for his short stories "The Legend of Sleepy Hollow" and "Rip Van Winkle" (both of which appear in his book The Sketch Book of Geoffrey Crayon), he was also a prolific essayist, biographer and historian. His historical works include biographies of George Washington, Oliver Goldsmith and Muhammad, and several histories of 15th century Spain dealing with subjects such as Columbus, the Moors, and the Alhambra.